9 days | From 9425RMB/pers. This tour will bring you through Turpan the city of grapes, Kashgar and the beautiful nature of Karakul lake. Upon arrival, your guide and driver will meet you at the airport. Transfer to your hotel. 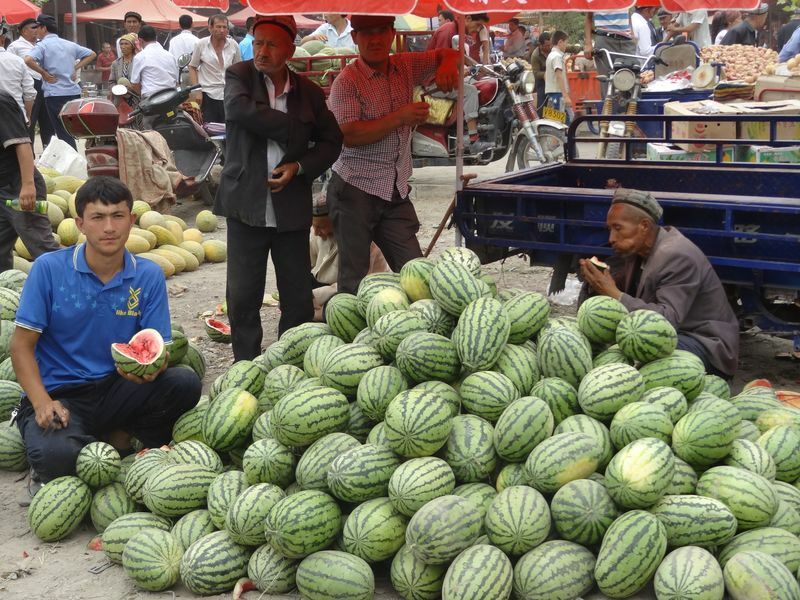 The rest of the day is free fo you to get a first look at Urumqi. 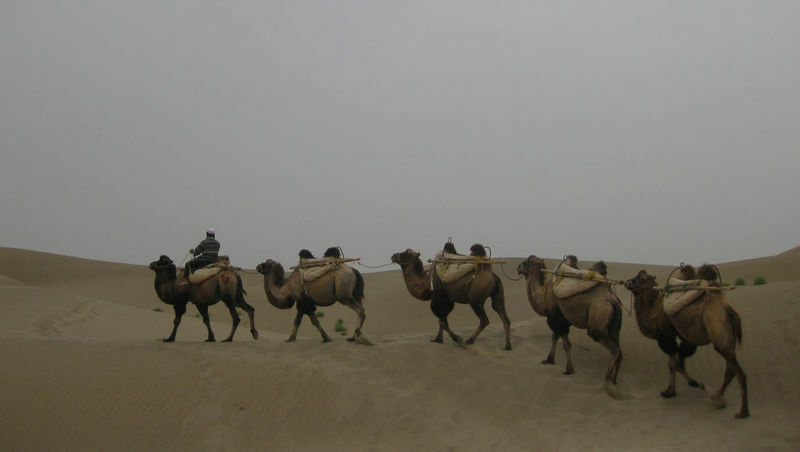 This morning meet your fellow travelers and driver who will bring you to Turpan (~2hours). 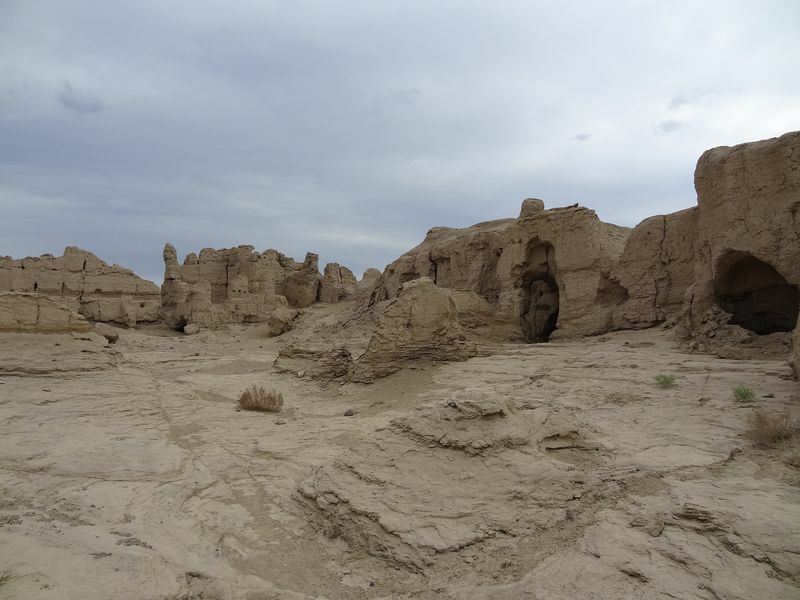 Start your visit of Turpan by the irriation system which is one of the three masterpiece of ancient Chinese engineering with an history of more than 2000years. After lunch, visit Jiaohe ancient city, the world biggest mud town. Numerous religious relics have been discovered in this town like buddism manuscripts. End your day with the visit of the Emin minaret built in 1777. After breakfast, visit Gaochang ancient city, a bigger and better preserved version of Jiaohe. Then you will visit the Astana tombs where numerous mummies were exhumed. After lunch stop at the Tuyuk village, a peaceful village. 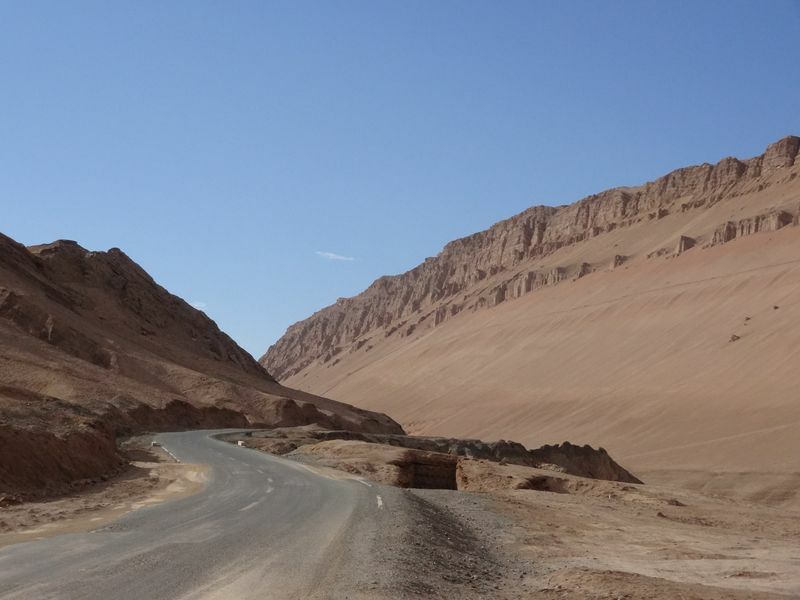 Finish your visits with a view on the Flaming mountains who's name comes from their red color. Then end to the train station to take your night train to Kashgar. This morning pick up at the train station then check in at your hotel (rooms won't be available though before 2pm) and start your Kashgar visit with the Apak hoja Tomb, also know as the perfumed concubine. 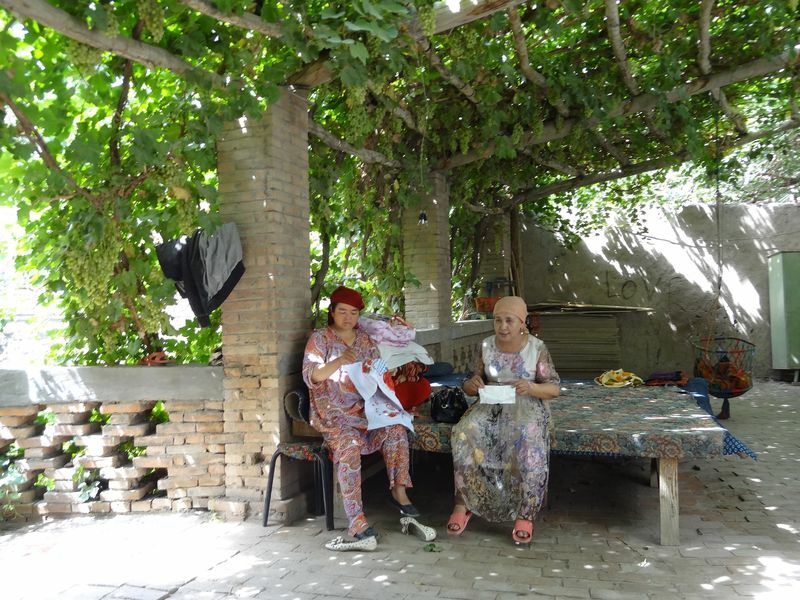 It is a very quiet place and a good example of the Uygur architecture. After lunch visit the Eid Kah Mosque, the biggest in China then walk in maze of the Old Kashgar. End your day in the handicraft street. Today you will have a day tour to Shipton's Arch site, a giant natural stone arch, maybe the biggest in the world (45 minutes’ walk). Go back to Kashgar in the afternoon. 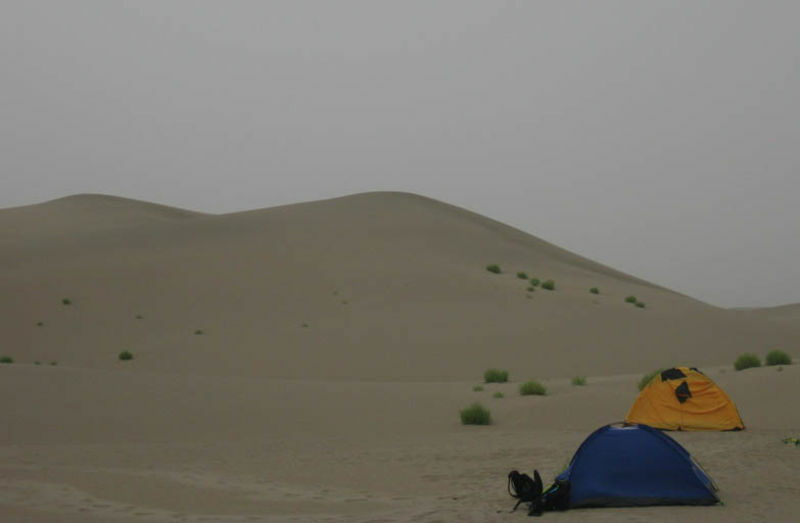 Today transfer to the desert of Taklamakan which is China's largest desert, situated in the middle of the largest Basin, Tarim in Xinjiang Province. This is reputed to be the world's second largest shifting-sand desert covering an area of over 33, 700 square kilometers (over 13,000 square miles). Today you will also have the opportunity to enjoy camel riding (not included). After the day tour, go back to Kashgar for the night. This morning take the beautiful Karakoram highway. 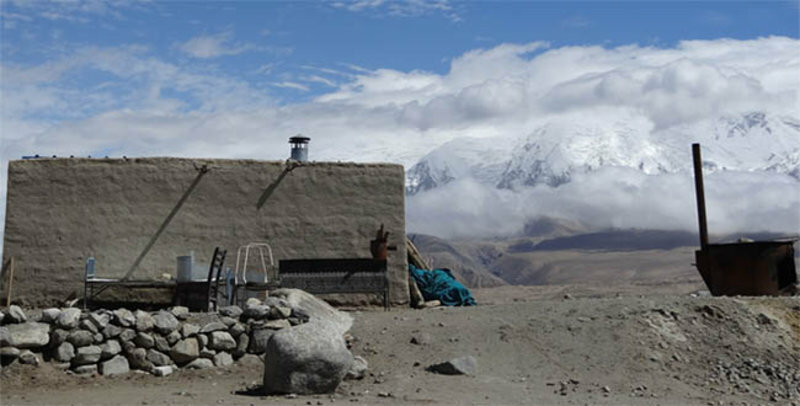 On your way to Karakul Lake, stop at the Opale village, around one hour from Kashgar. We recommend you to try the pilaf rice. And head afterwards to the local market where you will buy the bread and fruits for the next days. Get back into the car and enjoy the scenery. After 30minutes you will arrive at the Red Oytagh Mountain. After a stop at the check point you will arrive at the Karakul Lake (3600 meters) located between the Gonger Mount (7719m) and the Mount Mutzgah Ata (7546m). Today is an easy walk along the lake and meadows under the watch of the Mutzagh Ata. Transfer to Tashkurgan for the night. After breakfast you will visit Stone Fort, located in the center of Tashkurgan. As it is said, old more than 2000 years, it was formerly the royal residence of the Tajik kingdom. You will walk across the Tashkurgan grassland under the watchful gaze of Mt. Mutztah Ata and Mt. Pamir. Enjoy one last time the beautiful view, then head back to Kashgar. After your check in at the hotel and later enjoy altogether a farewell dinner. Free by yourselves till your driver comes to pick you up and transfer to the airport to take your flight to your next destination. Group tour 2017,Sept 29th We really enjoyed the destination and the tour itself. The itinerary was well balanced and we did very different things: nature, ruins, culture... Both guides were really professional and nice. We´re really happy with them. Also, very helpful and with good sense of humor. The group was small and friendly. Drivers patient and nice. ALL the hotels were good. The last one, was basic, but clean and it had all we needed. The owner was super nice and helpful and spoke very good English. It was a very good experience and we´ll recommend the destination and Travel Stone to everyone! Just one thing (there´s always one...). We thought that meeting at 12 the last day in Turpan was a little bit late... we couldn´t see all the things we wanted to see at Gaoche (I don´t know the spellig now). But that´s the only thing. the guide was fun, well informed and very professional anyway. We loved the whole trip!!!! Group tour, 2017, June Dear Emilie, yes I've had a fantastic trip in Xinjiang. One of the best places I've visited in China. Every day we saw something wonderful and I enjoyed this holiday thoroughly. So thank you for putting together a great itinerary. Feedback wise here are some of the few things that could be improved but did not have any negative impact on the overall tour. 1. All the hotels you chose were great but the one in Urumqi was the smallest, darkest and most cramped of the hotels. If I had to say which one was the best and worst I'd say the one in Kashgar was the best (large room, a lot of light and v nice bathroom although the water for the shower never really turned hot. Mostly luke-warm) and the worst in Urumqi. 2. Cars. The car in Turpan was a bit small with not that much leg-room. But it was totally acceptable. The car in Kashgar was a good SUV. One thing I could recommend for improvement with the drivers (who were all lovely and friendly) would be to tell them that when we leave the car for a sight, they could throw out any trash or empty water bottles. It's not that nice to get back in a car which has trash in it. 3. Guides. The guide in Turpan was superb. Fantastic English and a lot of knowledge. Very hardworking. We toured from 9am-10pm. 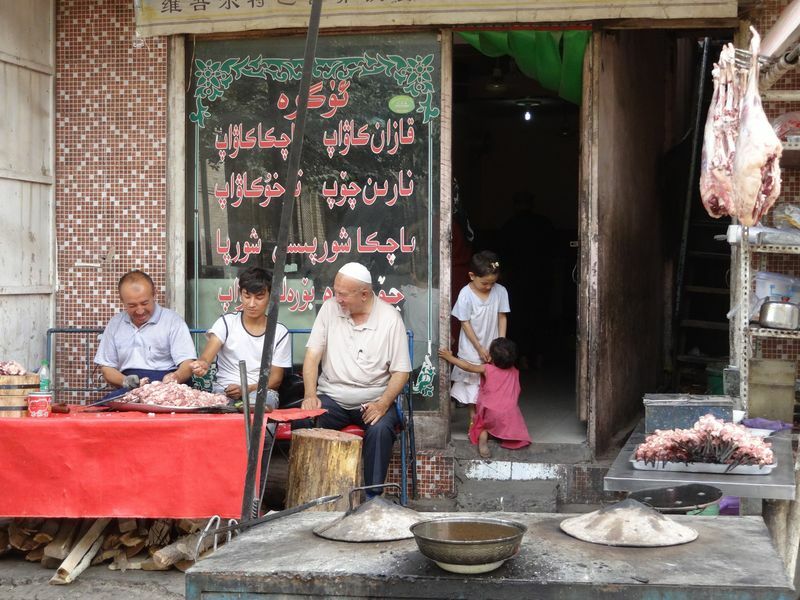 The guide in Kashgar also had excellent English and also toured with us for a long time. But compared to the one in Turpan he did not elaborate with the sights. Usually he gave us a few minutes of explanation and then we strolled around ourselves. He did have great ideas for photos though! All in all it was a great tour though and I'm just nitpicking. dépaysement garanti, les grands espaces , les déserts, deux populations qui se côtoient et s'apprécient peu: les chinois et les 'minorités' comme ils disent. Pour nous les deux sont plutôt attentionnées avec un bémol pour les chinois, certains, qui n'hésitent pas à vous éjecter d'une file d'attente pour prendre votre place. Vous résistez et le tour est joué. En revanche ils sont plutôt ravis de rencontrer des occidentaux et vous demandent d'être pris en photos à leur côté. Que de contradictions !! Merci aux Ouïghours de leur accueil. L'agnece Emilie et notre correspondante Inés juste parfaites !! Quant aux deux guides qui nous ont accompagnés attention et professionalisme tout au long du voyage. Merci à Mohamed de kashgar.